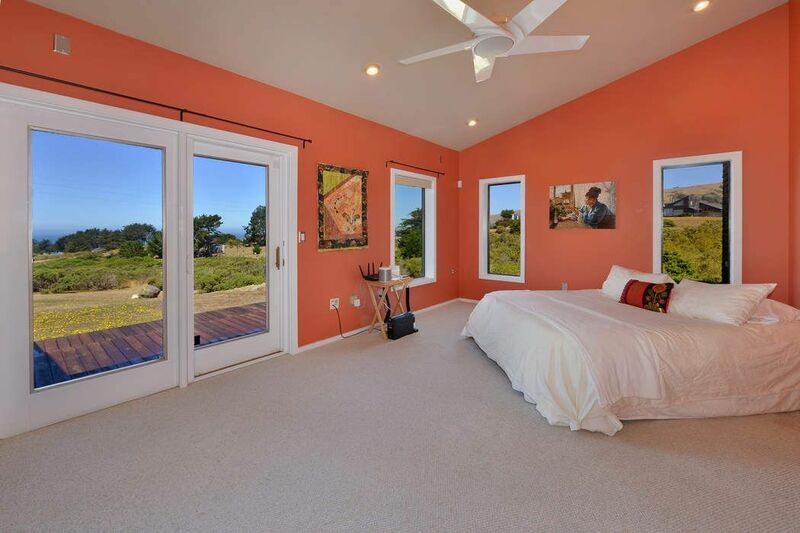 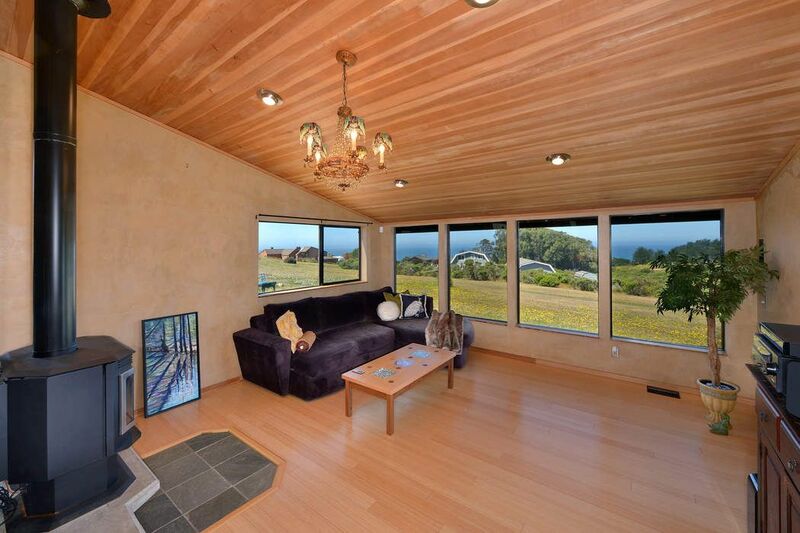 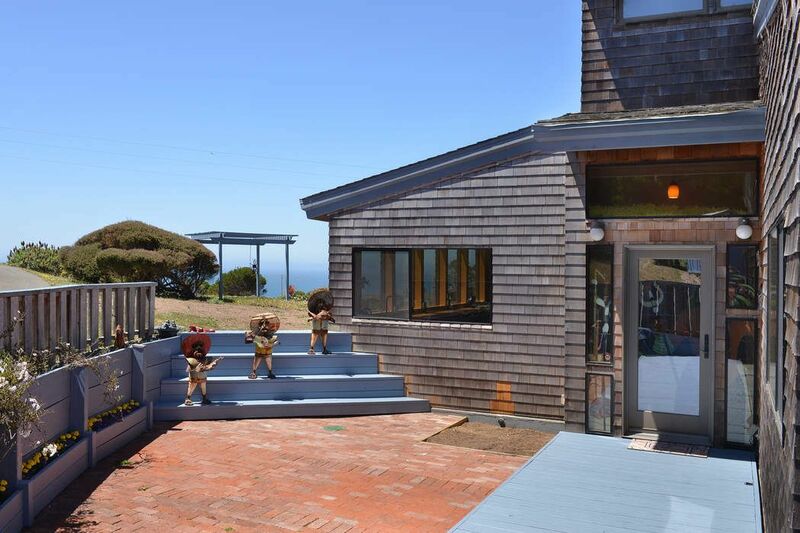 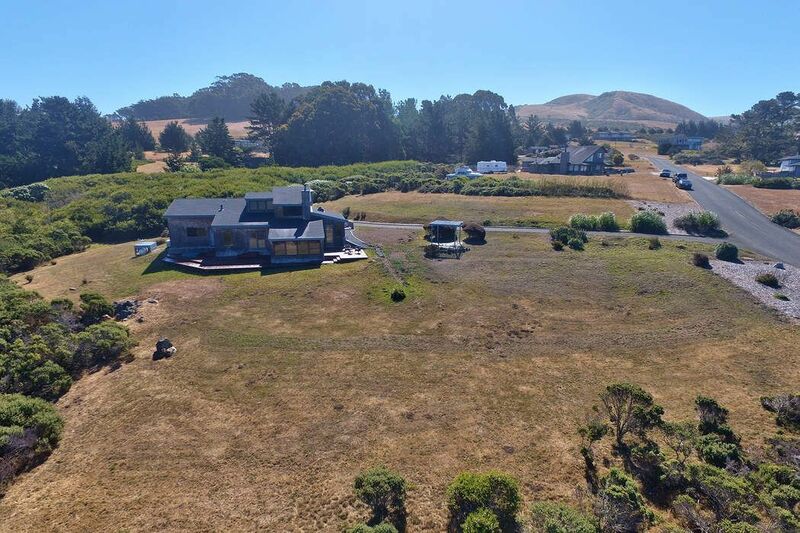 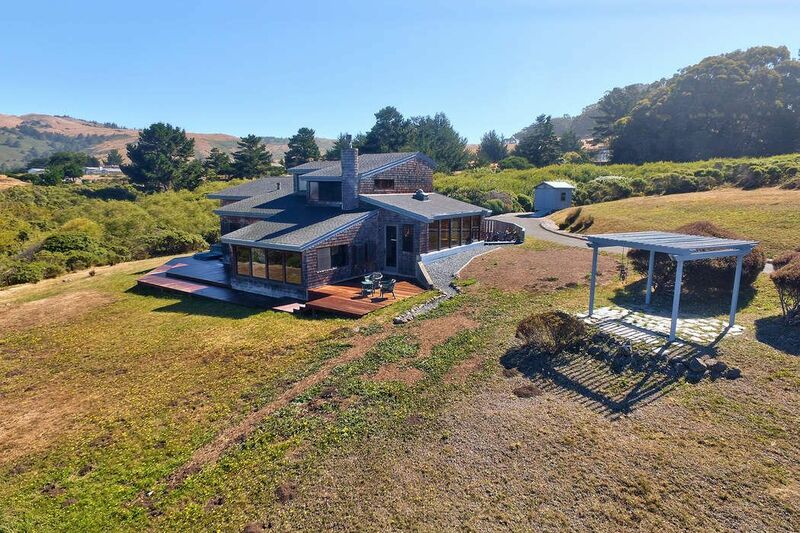 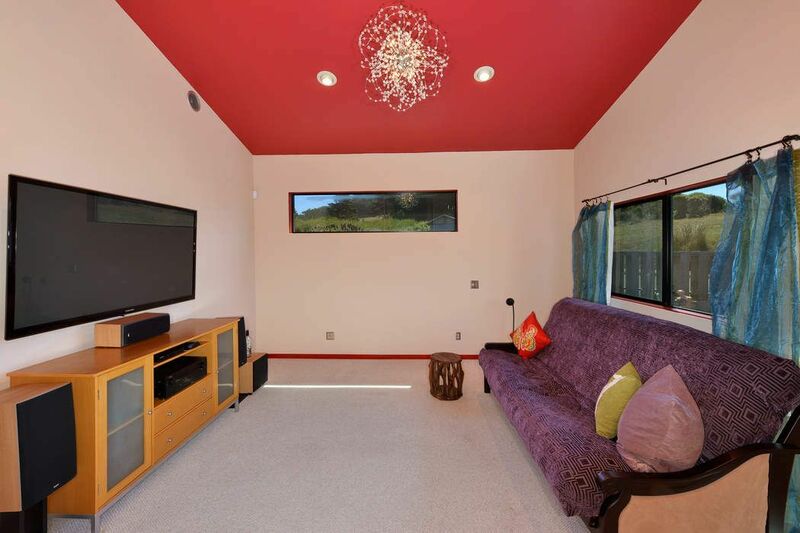 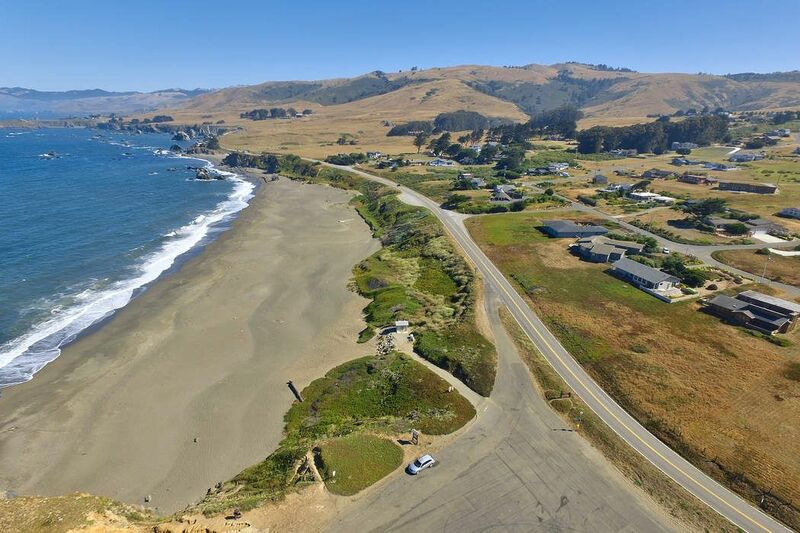 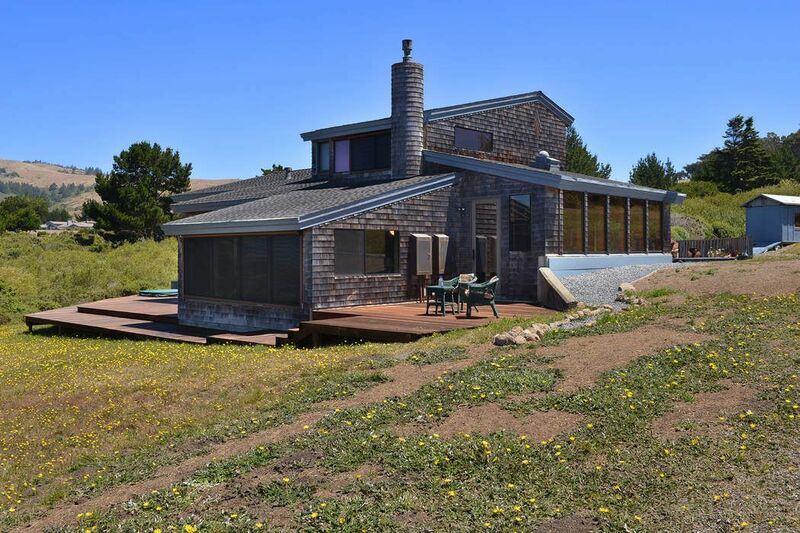 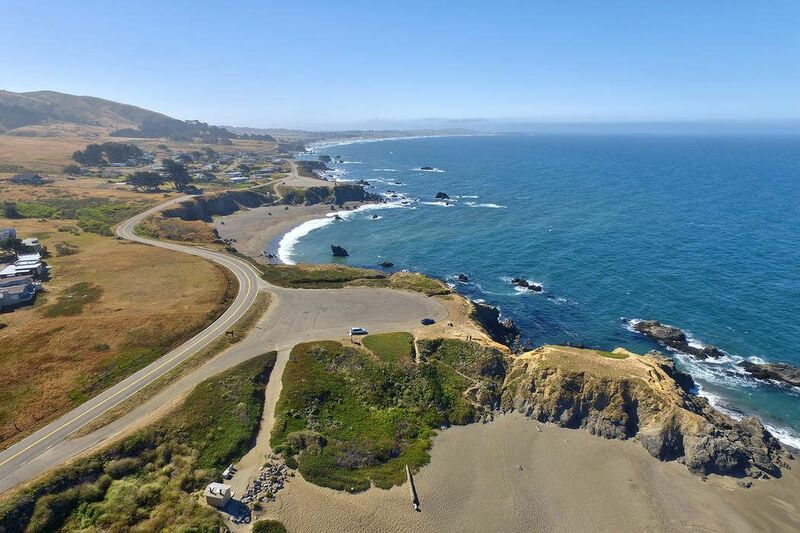 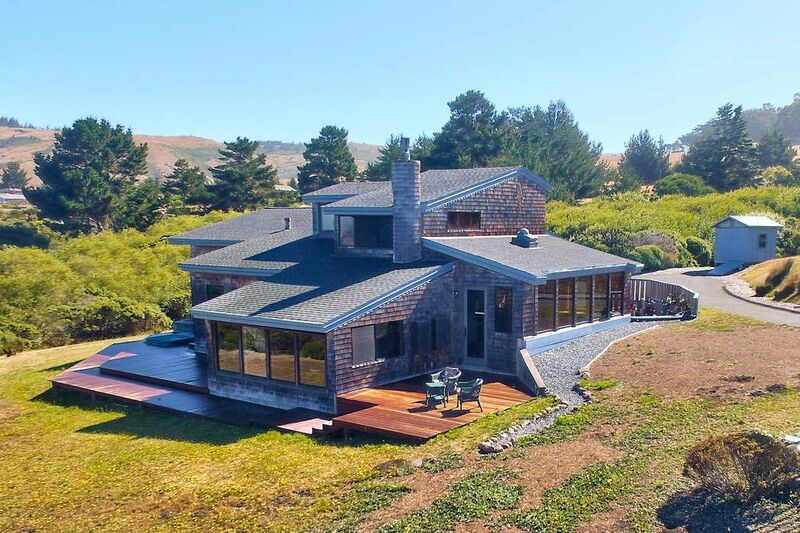 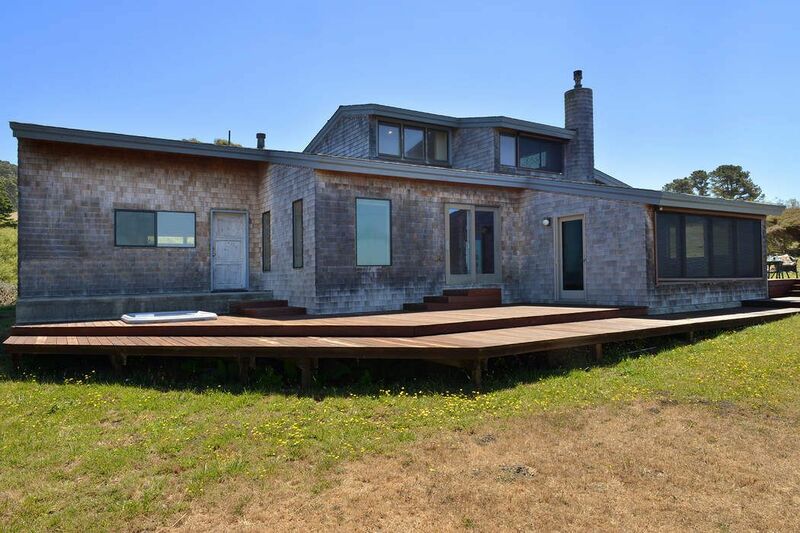 411 Los Santos Dr , Bodega Bay, CA 94923 | Sotheby's International Realty, Inc.
Nestled on the hillside overlooking the wild and rugged Sonoma Coast, this contemporary hideaway has been anointed as Neptune’s Nest. 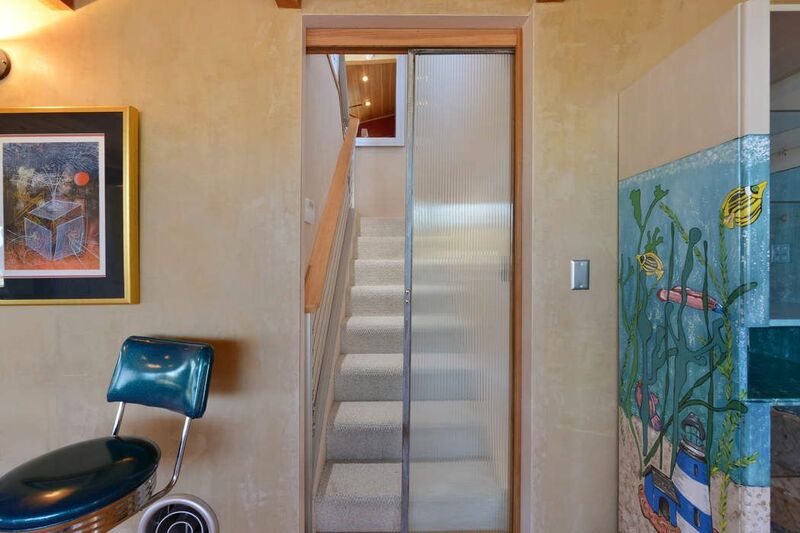 Exquisitely designed by local artist, Diana Bundy, the stained-glass entry door of Neptune bearing his trident welcomes you home. 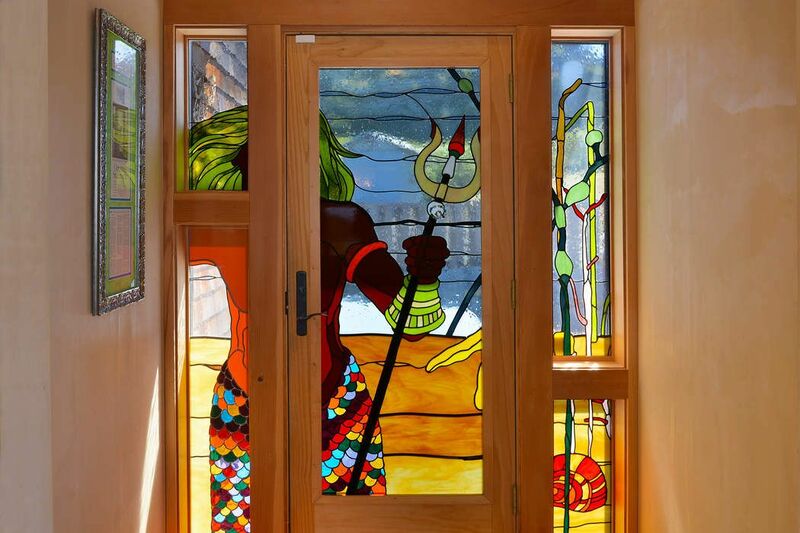 Daylight transformed by vibrant multicolored glass pours into the entryway while interior light illuminates the entry at night. 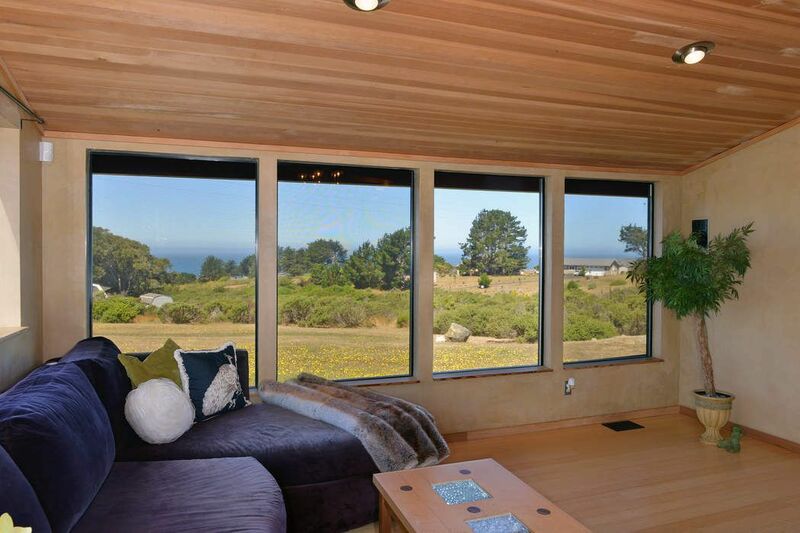 Windows on every wall bring sweeping vistas into the great room, sunken living room, bedrooms and master suite. 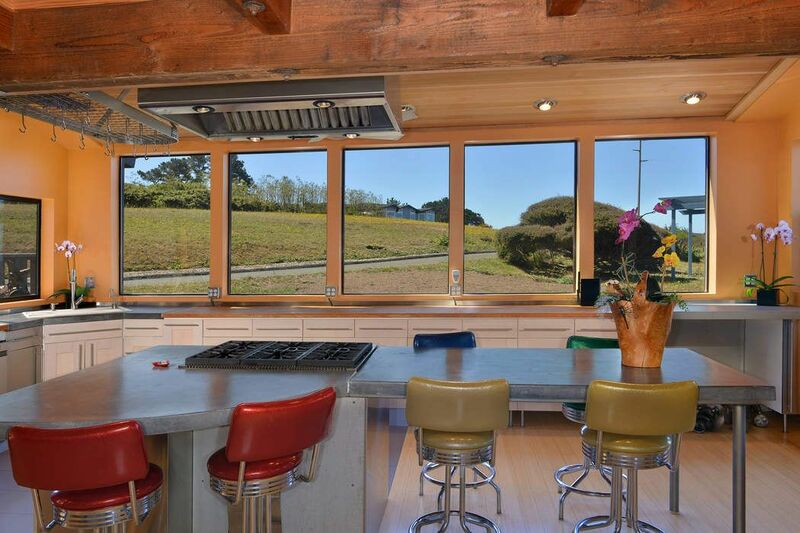 The dreamy curvilinear kitchen island creates an organic hub for cooking and gathering, drinking in the ocean vistas with a handcrafted Sonoma Coast wine. 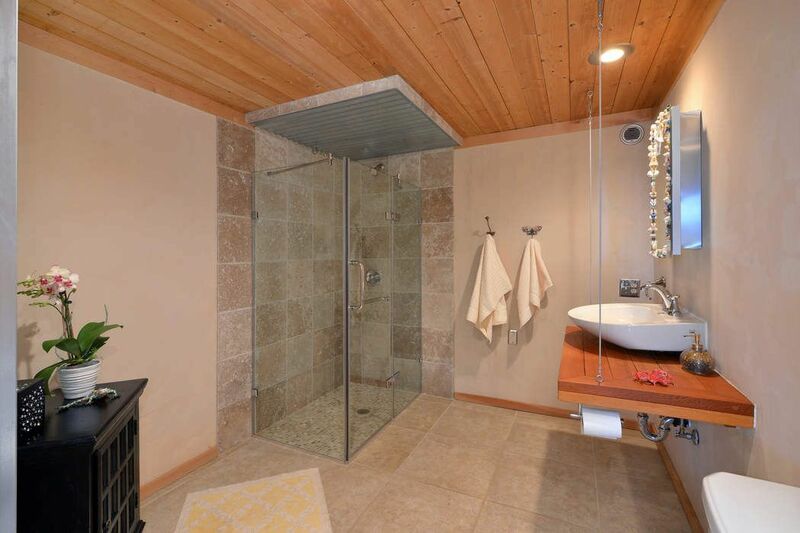 Three bedrooms, two baths, and a luxurious spa adjacent to a professionally equipped gym provide everything needed to restore and rejuvenate body and soul. 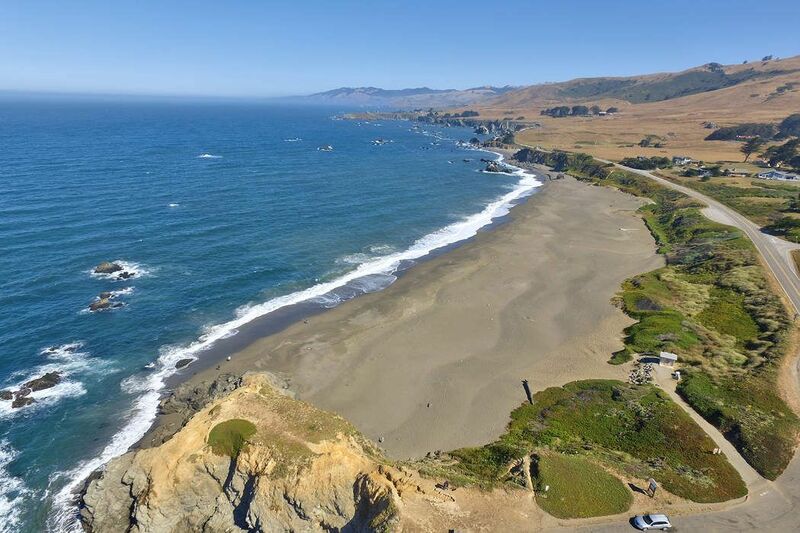 Bird estuaries, sandy beaches, water sports, art galleries, fine dining and wine tasting are readily available. 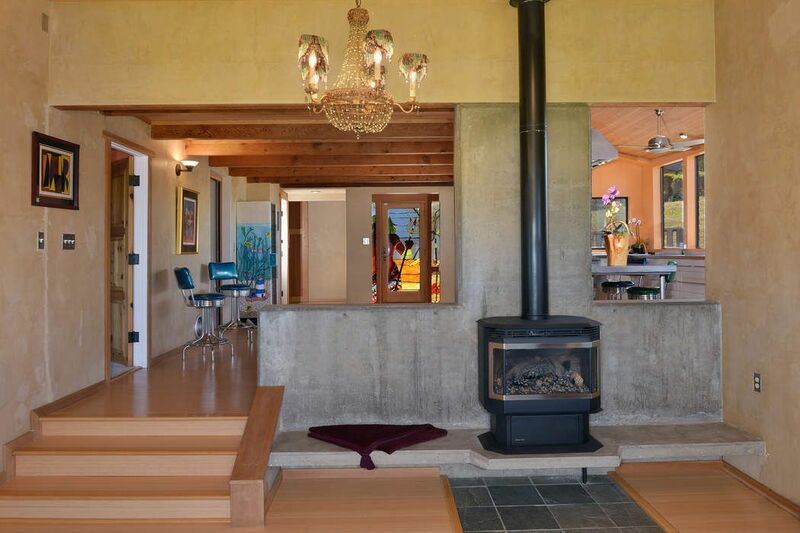 Inspired by the surrounding treasures of nature, this home is a rich treasure in and of itself. 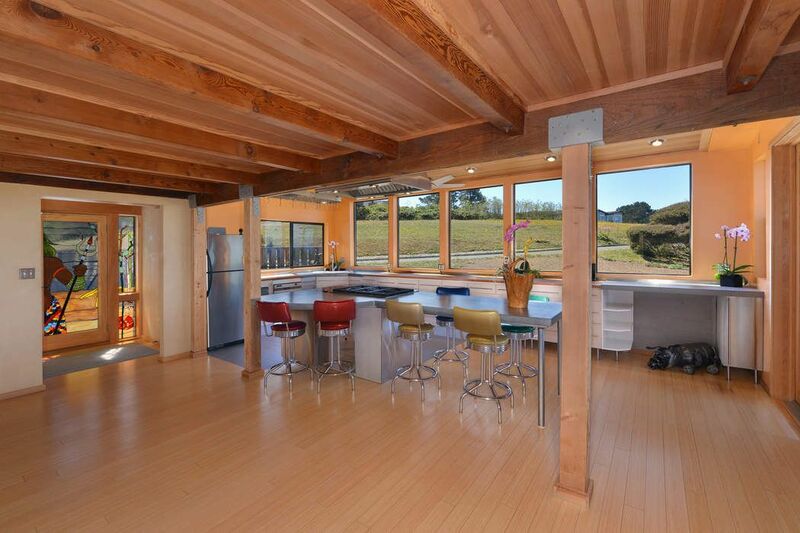 The contemporary great room surrounded by windows, anchored by a generous kitchen island is ideal for gatherings, large and small. 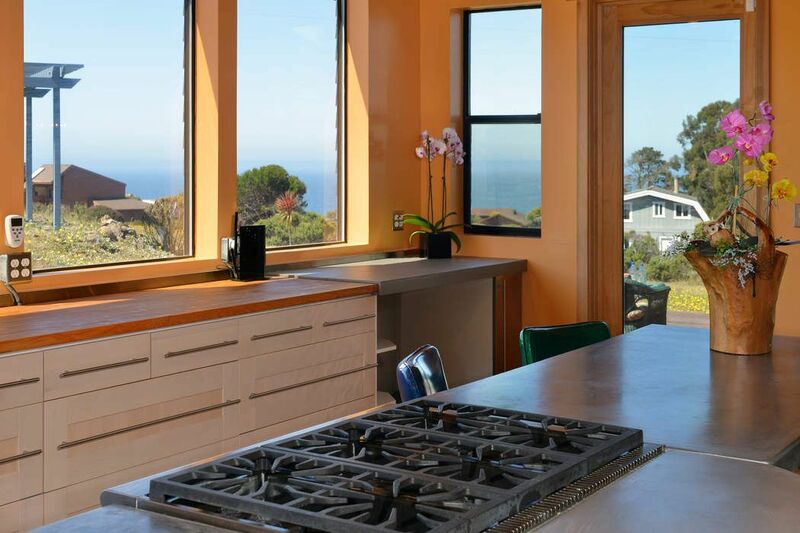 Concrete and butcher block counter tops, stainless appliances, contemporary cabinetry and hardwood floors invite vibrant social engagement. 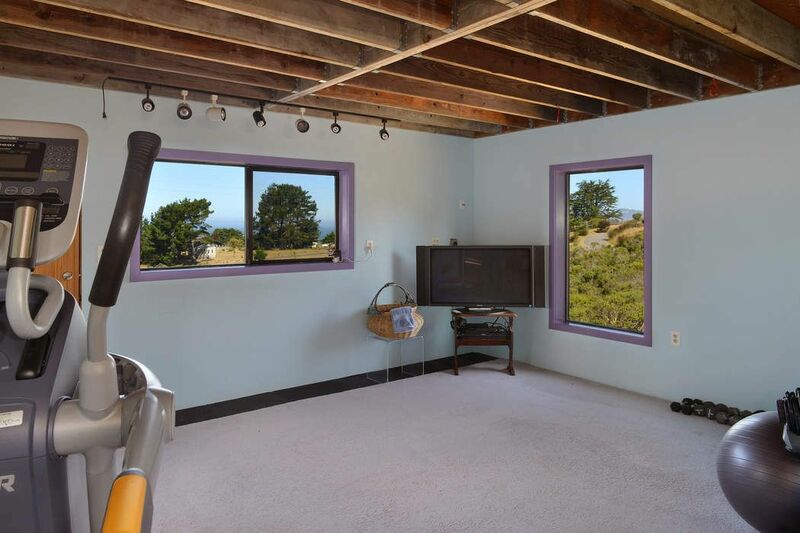 Move down into an intimate sunken living room with a fireplace, concrete hearth and ocean views. 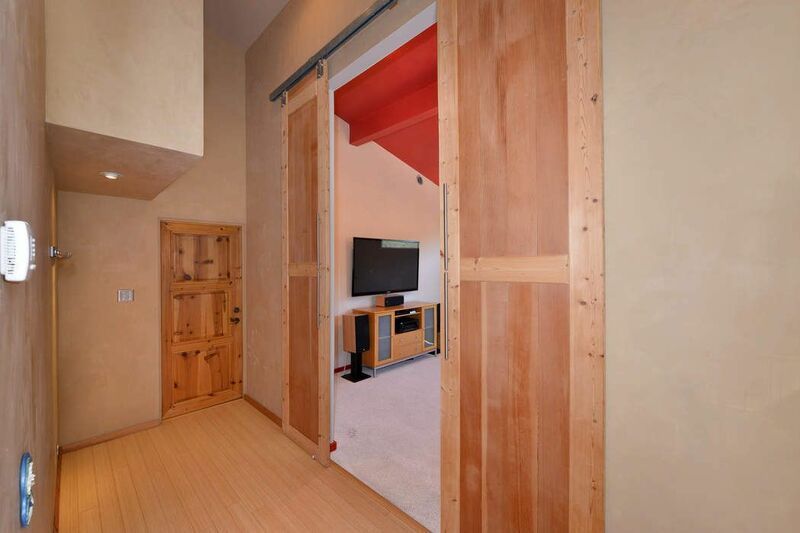 The main level’s flexible floor plan includes two bedrooms positioned for seclusion and views. 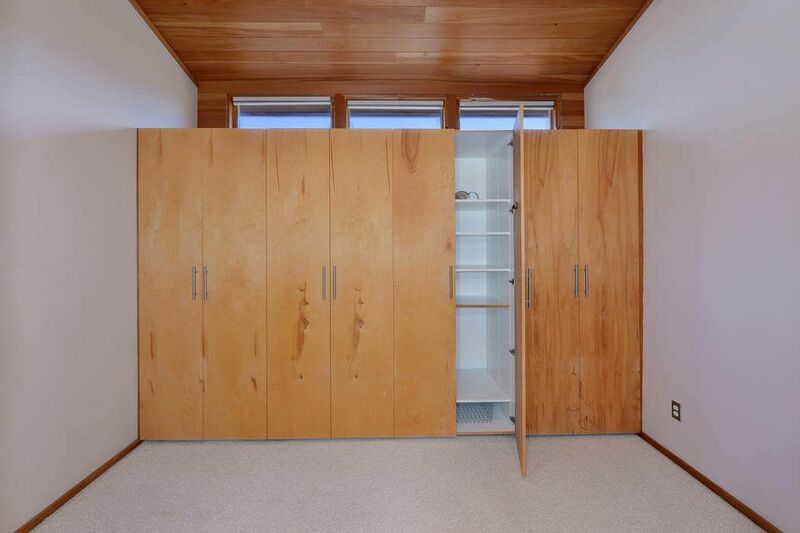 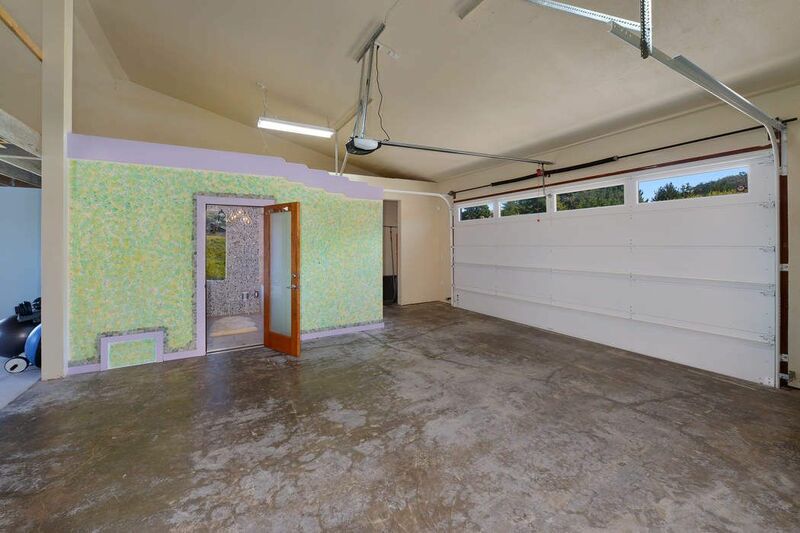 The garage re-envisioned provides a gymnasium, jacuzzi bath and steam shower. 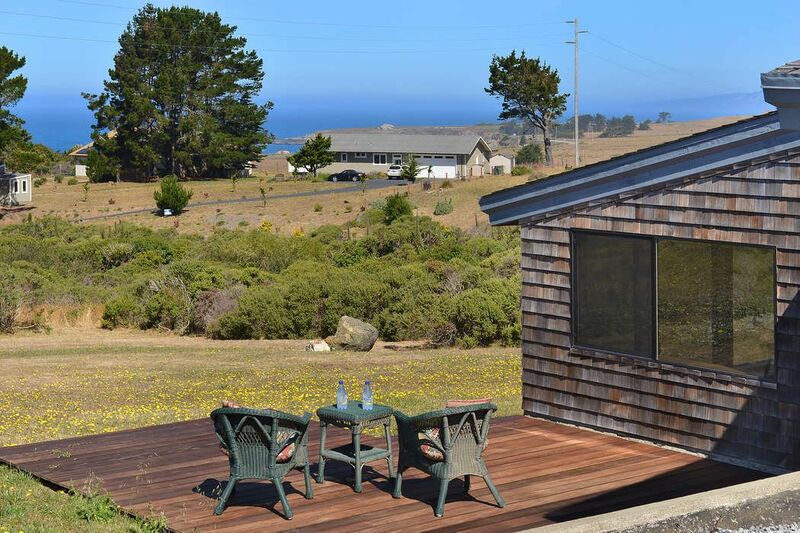 Soak in the hot tub overlooking protected open space and ocean. 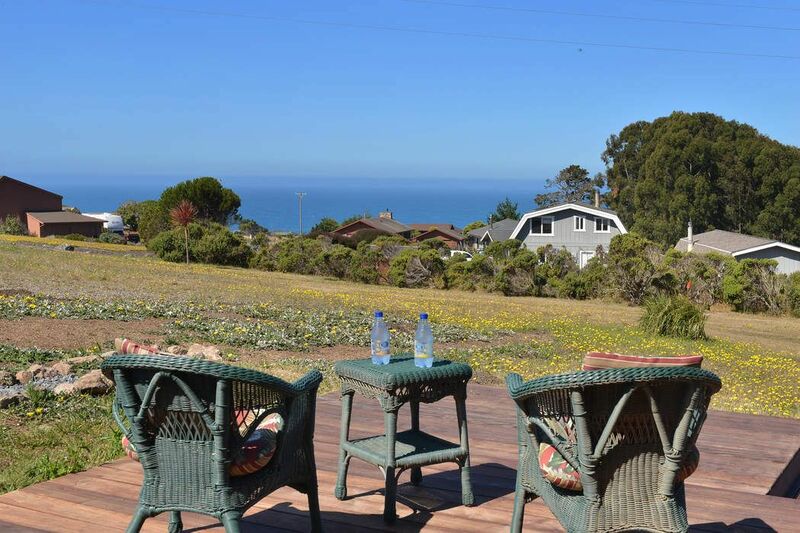 End your day on the surrounding deck optimized for sunset views. 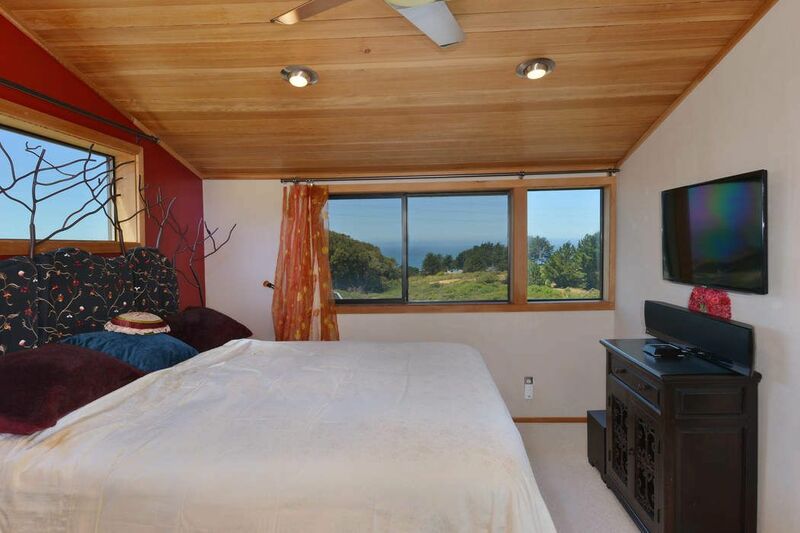 Retire to the master suite, a luxurious nest with an exceptional walk-in closet, spacious, customized bath and ocean views. 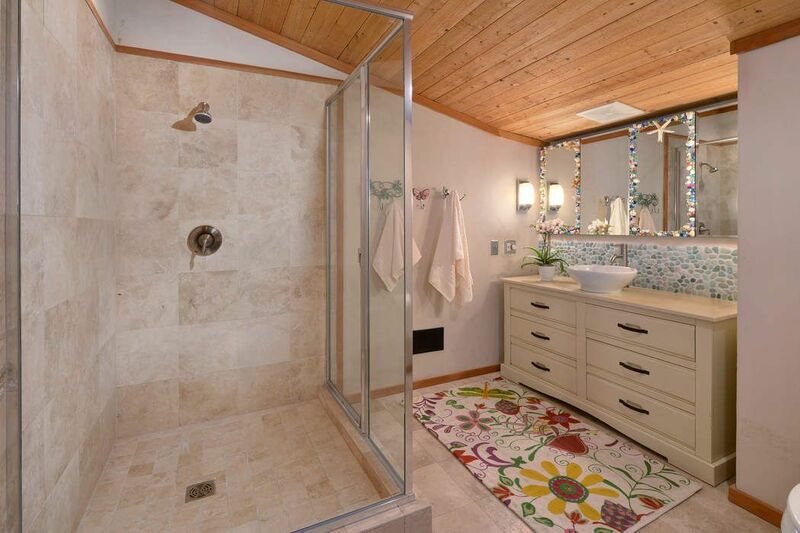 This treasure among treasures, bejeweled with a Mackenzie-Childs chandelier, customized mirrors and brilliant stained glass entryway will inspire for decades to come.